This beginner level sewing project is quick, easy and low cost and would be great for craft sales or little gifts. Stack two charm squares (or scraps of fabric cut to 5″ square) right sides together and cut them in half, so that you have two pieces of fabric 2.5″ x 5″. Turn right side out and press with a steamy iron. Lightly fill with cherry pits. Sew the opening closed very close to the edge of the fabric. If you find it’s hard to maneuver under the presser foot, remove a few cherry pits and try again. You’ll want the cherry pits to be able to move around a little when finished, so don’t over fill. The packs are small enough so that they can stay in coat pockets all day without being much in the way, so kids are likely to bring them back home to heat up again before the bus stop wait tomorrow. If your kids are fidgety like mine (and me!) 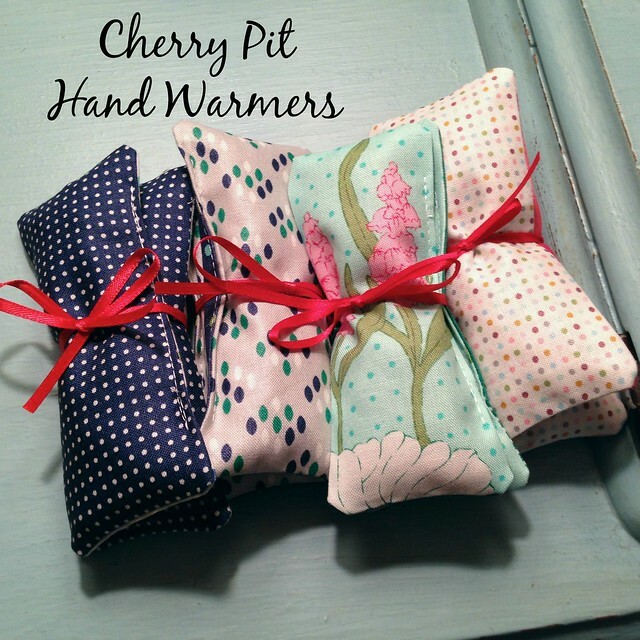 they’ll probably enjoy the soothing feel of the warm cherry pits rolling around inside the warmers. 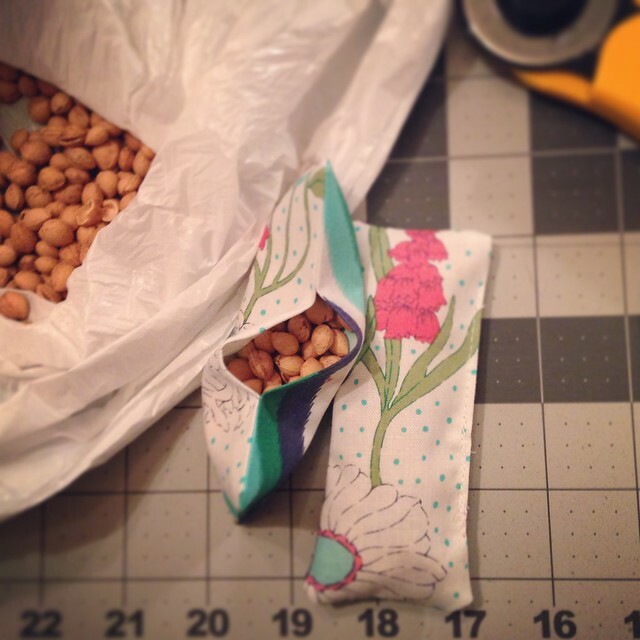 Make larger packs with the same method to use as a heating pad, or chill in the freezer to use as an ice pack. 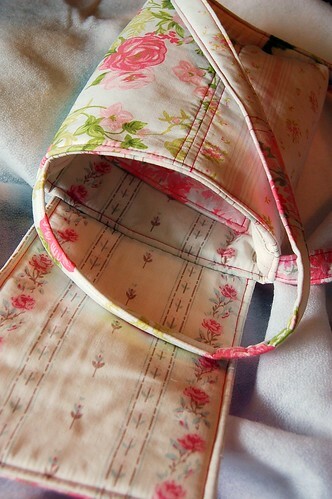 I’ve fallen in love with using reclaimed bed linens to create purses. After years and years of being laundered, they’re incredibly soft, very different from working with crisp, new fabric. The patterns are sweet and old fashioned, and how wonderful to be reusing fabric for a different purpose! 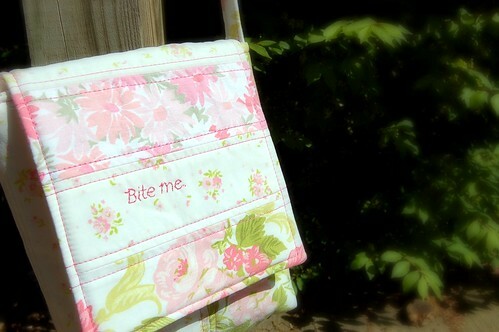 No more hiding in the closet — as a purse these soft florals can be proud of their eco-friendly, green, repurposed selves! But as I was creating the very first of my “linen closet purses“, I realized it is so much more feminine and romantic than my usual style. Maybe it even looked a little “Grandma”. Then I decided I didn’t care. Bite me.